Clean Campus Committee made up of at least 4 students, 2 faculty members and 2 parents. This is a great assignment for science clubs, environmental clubs, etc. They should meet 2-3 times in the semester to evaluate progress of the program. Written permission from school Principal. 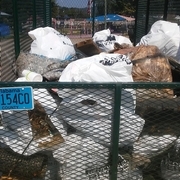 Hold campus wide cleanups on a regular basis. You may even want to join the "Adopt-An-Area" program and adopt your school campus or a nearby park. 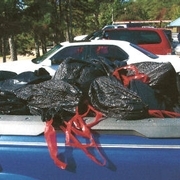 Participate in the Alabama PALS Annual "Don't Drop It on Alabama" Spring Cleanup in April. Introduce Environmental Education Program at school. Request for ALPALS to visit your school and present a 30 minute program on littering, recycling and reusing our resources. Participate in an ongoing recycling program at the school (if recycling is available in your county). 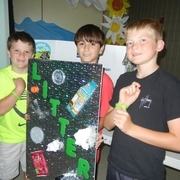 Encourage participation in the K-12 Annual Poster and Recycled Art competition in the spring and the Clean Campus Scrapbook Competition in the fall. 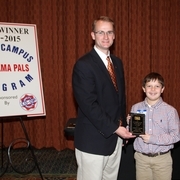 [School Name from Form Above] has reviewed the requirements for the Alabama PALS Clean Campus Program and is therefore applying to be a participating school in this statewide program. Please send all materials and information to [Contact Name from Form Above]. I certify that permission to participate has been obtained from the school administration. I authorize the use of the typed name below as an electronic signature. Leave this checkbox unchecked if you would like to print this form and fax or mail it. If you check this box, please type in your name below. 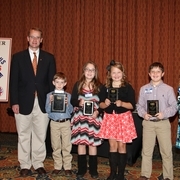 Your form will be submitted automatically to Alabama PALS.